The CamBar is made of impact resistant, waterproof polyethylene that will not chip, dent, rust, or crack. This small plastic bar is lightweight and portable, easy to take apart, easy to setup, and easy to clean. Ideal for bottle, can or mixer service. The CamBar is a stylish, portable beverage bar for hosting in any environment. 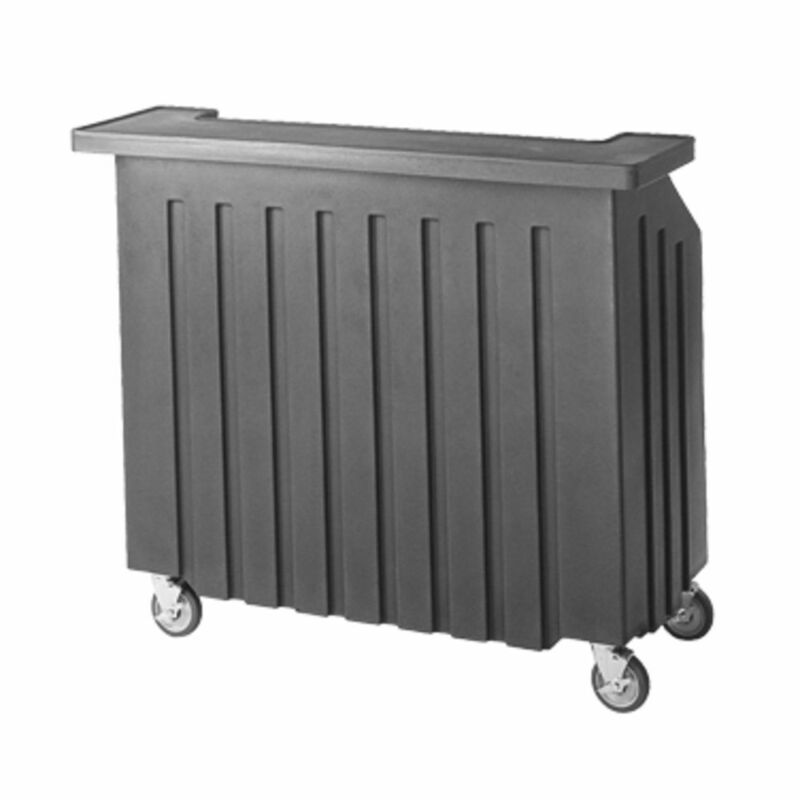 This portable banquet bar includes a speed rail and 80-pound capacity ice sink. All BAR540 models have 5" (12,7 cm) non-marking swivel casters, two with brake. The small BAR540 is an ultra portable beverage bar for off-premise use and events with limited space.